Your best customers don’t just buy one product or use your service once. They come back again and again for more. Customer retention increases your customers’ lifetime value and boosts your revenue. It also helps you build amazing relationships with your customers. You aren’t just another website or store. They trust you with their money because you give them value in exchange. What what does customer retention mean? And how can you achieve customer retention through relationship-building strategies? Let’s explore these concepts in depth and look at a few examples that you can apply to your own business. The customer retention definition in marketing is the process of engaging existing customers to continue buying products or services from your business. It’s different from customer acquisition or lead generation because you’ve already converted the customer at least once. The best customer retention tactics enable you to form lasting relationships with consumers who will become loyal to your brand. They might even spread the word within their own circles of influence, which can turn them into brand ambassadors. But let’s start at the beginning. 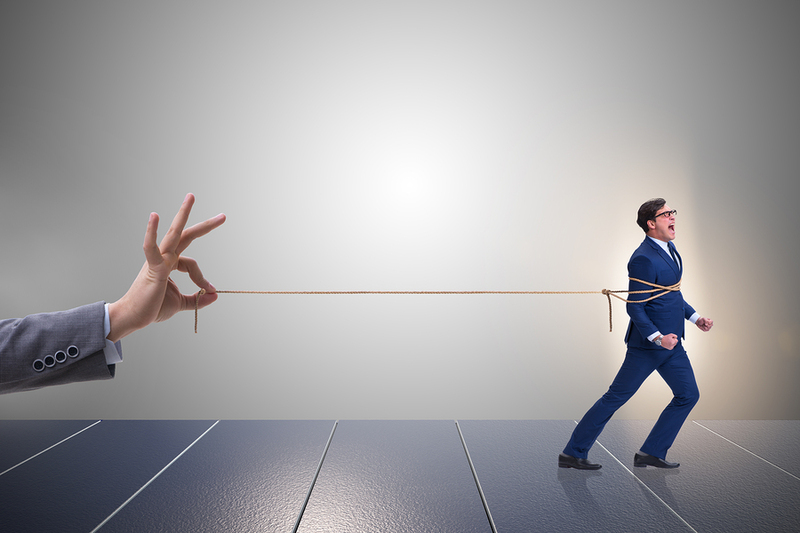 You’ve sold a product or service to a consumer, so what next? That’s when you build and implement customer retention strategies. You might have heard that it’s easier and less expensive to retain customers than to acquire them. The most recent statistics indicate that it’s true. For one thing, you’ll spend five times less money on customer retention. 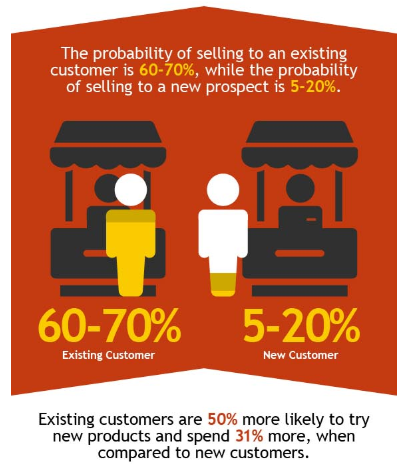 Additionally, at best, your probability of selling to an existing customer is at least 40 percent more likely than converting someone who has never bought from you before. Existing customers also spend 31 percent more than new leads, and when you release a new product, your loyal customers are 50 percent more likely to give it a shot. Those statistics should prove sufficient to compel you to try a customer retention strategy. Companies can calculate their customer retention rates in different ways. It all depends on what period of time you’re examining, but many marketers use too many variables. Let’s say that you have 2,000 existing customers over a period of two months. During that same period, 900 of them return to buy something else from you. Those are the two numbers that will allow you to calculate your customer retention rate. However, you have to discount any new customers you bring on during those two months. They’re not part of the equation. You should only count the people who bought something for you prior to the two-month start date among your existing customers. If you’re measuring your customer retention rate from January 1 to February 28, you would take into consideration the customers who bought from you prior to January 1. If a new customer buys from you on January 15, he or she doesn’t count. The customer retention formula isn’t difficult, but it’s powerful. It’s an illustration of how well you’re building relationships and drawing existing customers back for subsequent purchases. You’ll need to do a little math, but if you have a calculator, it won’t be a struggle. Start by subtracting the number of customers acquired turning the calculation period from your total customer base at the end of the period. Divide that number by the number of customers you had at the start of the period and divide by 100. Let’s look at a customer retention example. You have 50,000 customers at the start of a calculation period of two months. During those two months, you acquire 1,000 customers, and at the end of the period, you have 40,000 customers. We’ll subtract 1,000 from 50,000 to get rid of customers acquired during the testing period. That’s leaves us with 49,000. Now, we’ll divide 40,000 by 49,000 to get .81. If we multiply that number by 100, we get a customer retention rate of 81 percent. 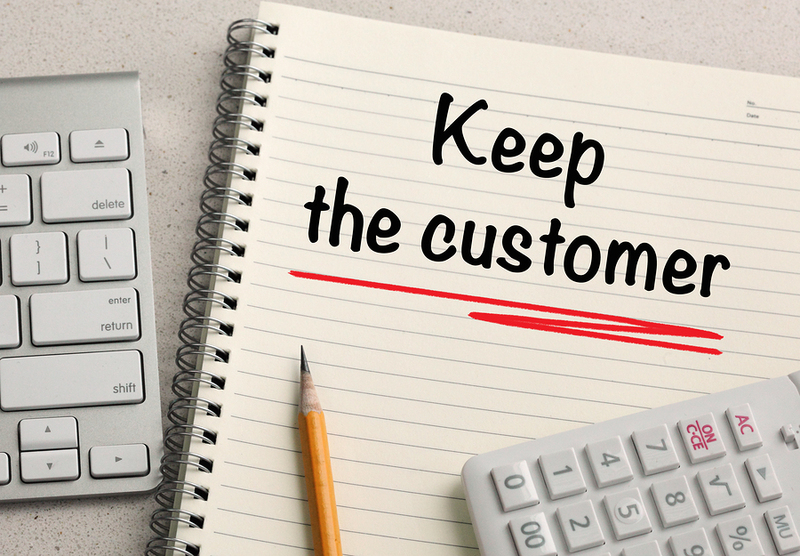 Now that you know how important customer retention is, how do you achieve better rates? I’ve handpicked several customer retention strategies and techniques to help you woo your customers and bring them back for more. Before you tackle any marketing strategy, you need a goal. Otherwise, you don’t know what you’re shooting for. First, calculate your existing customer retention rate. You have to start somewhere. If you’re currently retaining customers at 10 percent, setting a goal of 50 percent isn’t particularly reasonable. You need a goal you can feasibly hit. Consider the size of your customer base as well as the type of product you sell. Some products are taylor-made for customer retention. For instance, people always need to refill their supplies of customer staples, such as dish soap and toilet paper. You can create a more ambitious goal in that case. However, if you’re wanting your customers to try different products, to order the same products as gifts, or to order more of what they already have, you’ll need a more conservative goal. The route from prospect to customer isn’t always a straight line. In fact, it’s more likely to take lots of unexpected curves. If you’re gathering data about how people interact with your website and business, however, you can anticipate their customer journey toward converting on a purchase. Start with how people become aware of your business? Do they track down your articles via Google search? Are they following you on social media? Do you get lots of referrals? Once you know that, you can figure out how they make their decisions. Focus on lead acquisition so you can get prospects’ contact information and market to them more effectively. Then analyze what convinces your customers to buy. 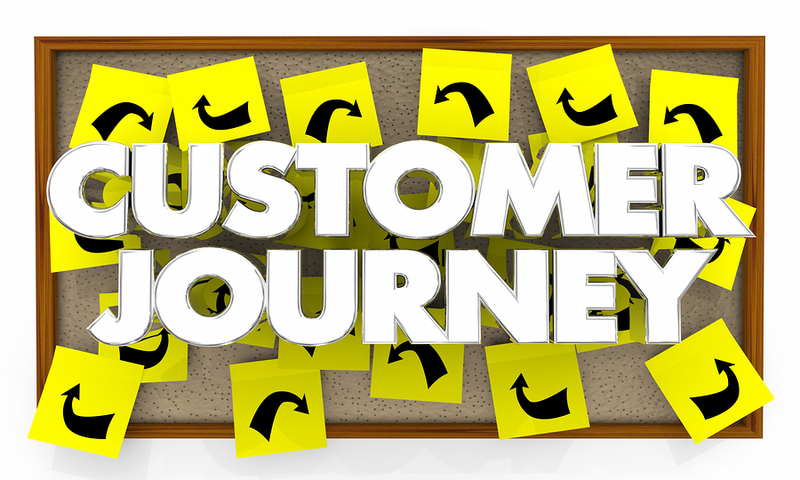 Once you understand the customer journey, you can optimize each stage and improve customer retention in the process. First impressions matter, right? If a customer doesn’t have a good experience during his or her first purchase, that person probably won’t return to make another. Fortunately, welcoming your customers warmly isn’t difficult. Make sure the checkout and delivery process is as smooth as possible. Send a thank-you email to let the customer know how much you appreciate their business, and direct them to any helpful videos or guides. Perceived value is almost as important as actual value. Your customers have to see your business as the ultimate solution to a problem. For instance, corporate social responsibility has become a primary focus for many companies. Subscribing to green practices and engaging with the community don’t contribute to a product’s or service’s actual value, but they add to perceived value. Your value proposition should convey what you believe and why you’re in business. 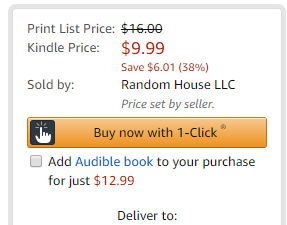 Have you ever noticed how easy it is to buy a product from Amazon? If you’re an existing customer and have a credit card or other payment method on file, you can buy a product in just one or two clicks. The fewer obstacles you create for your customers, the more willing they’ll become to buy your products again and again. Smooth out the checkout process, add links to related products on your product pages, and send regular emails about new or on-sale products. If you don’t communicate with a friend or loved one for an extended period of time, the relationship deteriorates. It becomes increasingly easy to have no contact. The same things happen with your customers. 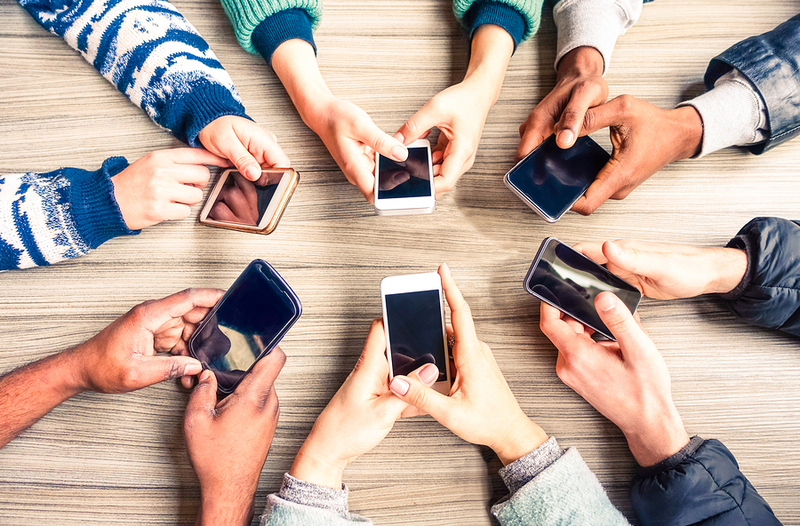 If you’re not communicating with them, they won’t even think about checking out your latest blogs or connecting with you on social media. Lots of people buy products and services from companies because those businesses are willing to educate their audiences. If you consistently share amazing content, your customers will come back for more. Part of this phenomenon revolves around staying top-of-mind. If your business is the first thing a person thinks of when your niche comes up in conversation, you’re doing your job extremely well. Even if you have the most wonderful product in the world, you probably won’t sell many if you don’t know what problems it solves. More importantly, you need to know which consumers will benefit most. What do your customers need? What keeps them up at night. Continue hitting those pain points throughout your marketing campaigns so your customers know that you understand them. Over time, they’ll become more likely to buy from you. Loyalty programs seem simple, but they can have a huge impact on customer retention. If your customers know they’ll be rewarded for returning to shop at your online store, they’ll feel compelled to do so. You don’t need a complicated or fancy rewards system, and you don’t need expensive rewards for people who “level up.” Just make sure you offer something of value. It makes your customers feel good because you value their opinions. It gives you insight into how your customers think and feel. Boring surveys might not be the way to go. You could send out an email that asks all of your subscribers to reply with their thoughts. Encourage people to provide in-depth answers instead of ranking statements from one through 10. If you have a dedicated customer retention team, spend time training them on all the strategies I’ve described in this article. Do dry runs with all new team members using a script, for instance, if you rely on sales calls fo qualify and convert leads. I always tell people that my businesses couldn’t succeed without my team. I rely on them to carry out tasks I’m not good at or that I don’t have time for. Delegation is probably the most important leadership skill you can learn. If you don’t train your people well, though, they’ll create bad habits and unintentionally sabotage your customer retention program. When you create new strategies, introduce them to those tactics fully so they understand how to follow through. Upselling and cross-selling are fantastic ways to bring customers back to your business. Customer retention often relies on your ability to offer an even more fantastic opportunity than the one that got those customers to convert in the first place. Upselling involves inviting your customers to try out a more expensive product or service. They’ve already been introduced to your business, so they know what value you provide. Too many marketers make assumptions, then assume they’re right. There’s nothing wrong with the first assumption — though I’m more comfortable calling it a hypothesis — but if you never test that assumption, how do you know if you were right? That was a mouthful. Let’s break it down. You might hypothesize that sending out weekly emails to existing customers with in-depth content will increase customer retention rates. You create an email drip campaign for that purpose and start it. Maybe your customer retention rates increase. Maybe they don’t. But what if you could do better? To challenge yourself, create another email drip campaign for half your audience. Send those emails out every two weeks instead of every week. Compare the difference. You can also do A/B testing on your site. Maybe you use a related products plugin to suggest more items for customers to buy. You could A/B test the placement of that widget to see which layout results in more conversions. Crazy Egg allows you to create five user behavior reports that show you how your visitors behave on your site. Heatmaps, Scrollmaps, Confetti Reports, List Reports, and Overlay Reports make understanding your audience a breeze. You can start gathering data immediately, then launch new series of user behavior reports. Additionally, recordings and A/B testing can help you refine your approach to customer retention. Some of the best customer retention examples are extremely simple, but they can boost profits by an incredible margin. 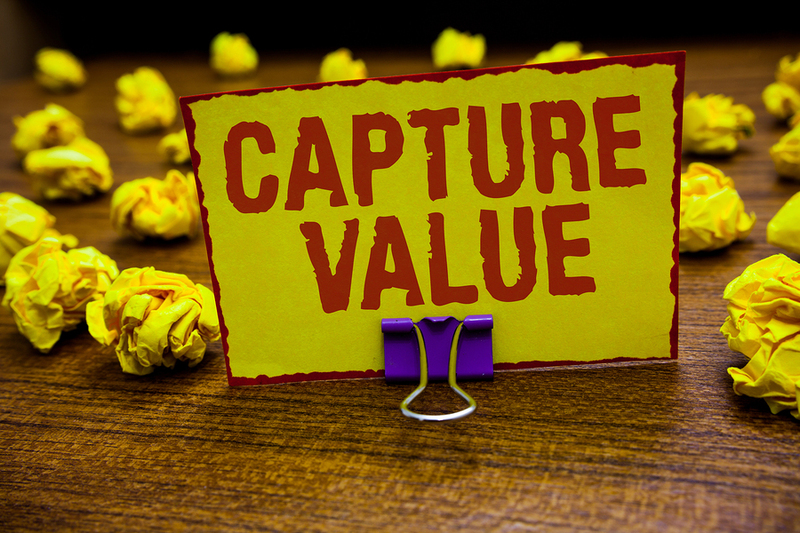 I mentioned earlier that your value proposition can have an incredible impact on customer retention, especially if you incorporate value that goes beyond your product or service. 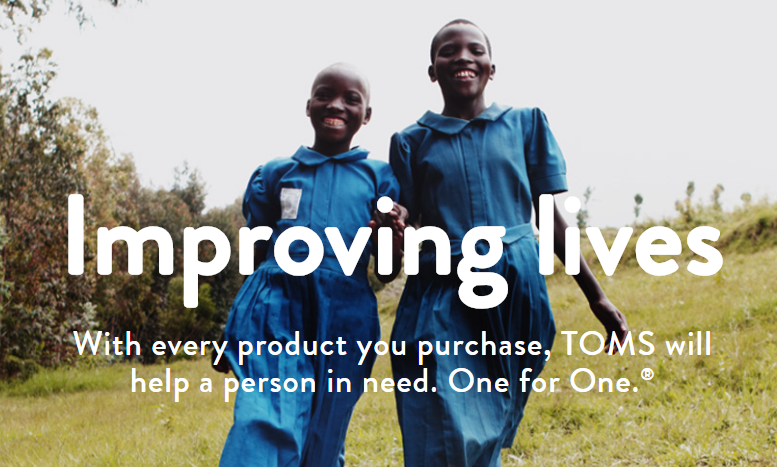 TOMS, an apparel company, does this beautifully. It sells shoes for profit, but for each pair a customer buys, the company donates another pair to someone who needs them. It’s called One for One, and it’s a beautiful example of corporate social responsibility at work. We’ve also seen lots of partnerships that can skyrocket customer retention. Starwood, a hotel chain, partners with several companies through which their customers can earn rewards toward future stays. If you rent a car from Hertz or belong to the Diners Club, you get more rewards. Integrations are another prime example. It’s easier to use a software program when you can integrate it with software you already use. At Crazy Egg, we support integrations with 10 other companies, including Shopify and Squarespace, which creates more ease of use for our customers. Customer retention doesn’t improve overnight. However, if you have a few solid strategies up your sleeve, you can coax your existing customers back for more. First, know your customers. Figure out what they want and need and where their pain points lie. Next, find ways to surprise, delight, and motivate them. Get in touch. Ask for feedback and testimonials. Help them realize you appreciate their patronage. Using tools like Crazy Egg, you can test every strategy you try and continuously refine your approach. The more you test, the stronger your customer retention program becomes.